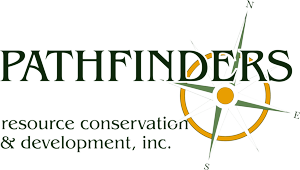 Deke Wood serves as Chair on the Board of Directors at Pathfinders RC&D, and is a Keokuk County Supervisor. Deke has served on the board since 2011, and as chair for the last 5 years. 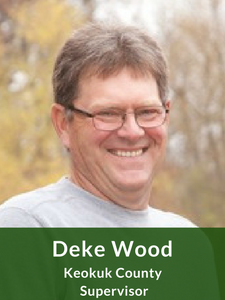 Deke was born and raised in Keokuk County, and to this day, has lived on the same family farm since he was 5 years old. He and his wife’s farm is just outside of Sigourney, and they enjoy the close proximity to their son, daughter, and six grandchildren. As the Keokuk County Supervisor, Deke serves on many other boards in the community, including the Regional Policy Board, the 10-15 Transit Board, South Iowa Crime Commission, and Chairman of Regional Utility Service Systems. When he isn’t busy serving his community, he enjoys competitive stock car racing with his son, Nathan.